Infinite Light dedicates itself to reimagining Hanukkah through inclusive community building and creative Jewish experience. Created in 2015 in Los Angeles, Infinite Light is NuRoots’ annual citywide celebration of Hanukkah miracles, a 10-day festival of creative experiences and gatherings that highlights the unique energy of the holiday and reflects Los Angeles’ wildly diverse young adult Jewish community. Envisioned, designed, and curated by a blend of local organizations and community members, Infinite Light is an opportunity to connect, be inspired, and experience an ancient tradition – reimagined. 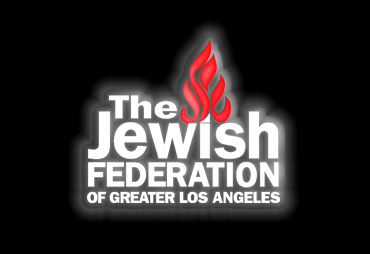 Encompassing the vast geography of L.A. and featuring a breadth of culinary feasts, service projects, storytelling slams, arts workshops and learning opportunities, Infinite Light offers a cohesive platform for creative Jewish expression and community connection. Join us November 30-December 9 across Los Angeles for #InfiniteLight2018 and experience the diversity and depth of Hanukkah celebrations. In around 200 B.C. in the land of Judea, the Syrian king Antiochus IV outlawed the practice of Jewish religion and ordered Jews to worship Greek gods. Those who did not heed the decree were killed, and before you know it, we had a massacre on our hands. Us Jews, rightfully so, said "HELLNO. That's LITERALLY Commandment #1. No false idols! Monotheism all the way!" and banded together to fight Antiochus and the Syrian army. After desecrating the Temple in Jerusalem, erecting an alter to Zeus, and sacrificing pigs inside, the Jews had to fight back. Against all odds, a small but mighty army led by the Hasmonean family — Judah Maccabee and his father Mattathias (Maccabee means "the Hammer." What a boss.) —drove the Syrians out of Jerusalem. Using scrappy tactics and guerilla warfare, Judah and his army (the Maccabees) saved the Jews and took over. Pretty, pretty amazing. Miracle #1. Once the Syrians were history, Judah called on his followers to cleanse the Temple, rebuild its altar, and light the eternal flame. This dedication (BTW, the word "Hanukkah" actually means "Dedication" and references this moment of the story) was nothing short of a miracle. As the story goes, the Jews had only enough untainted olive oil for one night. But the dang thing stayed LIT for eight whole nights. Miracle #2. That’s why we get eight nights of Hanukkah, eight branches on the chanukiyah (special menorah for Hanukkah), and why everything is fried in oil on this holiday. Latkes and donuts FTW. Simple, classic Hanukkah story, right? Cut to: The Hasmoneans become just as Greek-influenced and power hungry as the Syrians before them. Because power corrupts, right? But that’s a story for another time…for now, we celebrate!